KIND is the type of brand that I aim to purchase when I’m shopping. The high quality of ingredients and general brand philosophy are exactly what I like in a snack food. I like to vote with my money and my money votes for non-GMO, healthy, delicious snacks. 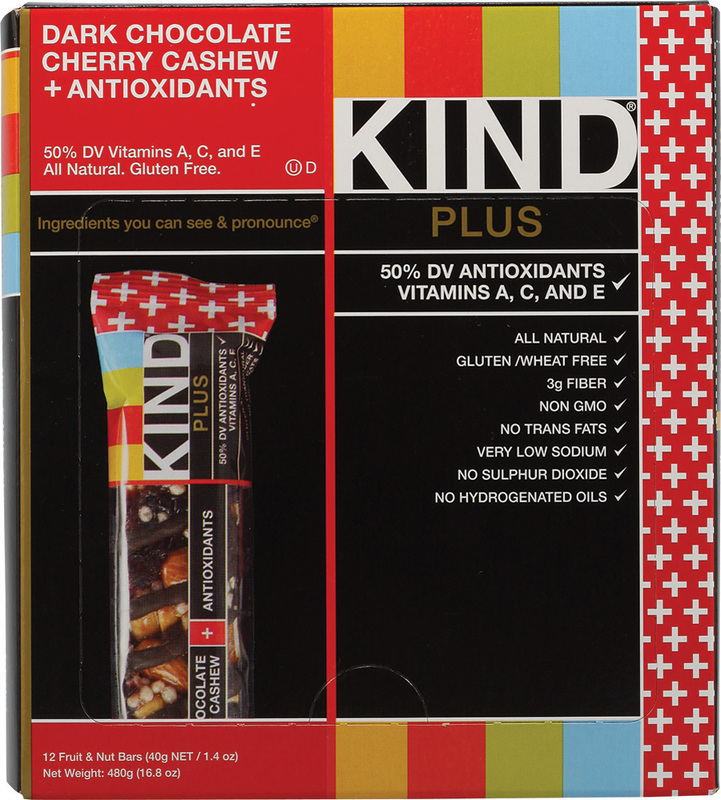 KIND is unlike the typical granola/protein/snack bars. Their website states “For us ‘being KIND,’ means to ‘Be KIND to your body, your taste buds, and the world.’®” And in my experience, they truly do follow through with this philosophy. They emphasize their use of ingredients that the everyday person could pronounce. You don’t need a degree in chemistry to understand what you’re eating. KIND is Non-GMO Project Verified according to nongmoproject.org. (For those of you who don’t know, GMO means Genetically Modified Organisms.) I find this to be very important, considering all the progress with GMOs recently. With Proposition 37 up for vote in California, now more than ever it is important to support the brands that don’t use GMOs. What better way for those of us not in California to voice our opinions than to stop buying from companies that are opposing Proposition 37. KIND also has started the KIND Movement, which encourages individuals to make a difference in their own community. They have KIND Food Trucks that travel across the country to give out healthy snacks as an effort to “spread kindness across the country.’ To read more about their movement visit their website. Ingredients:Almonds, dark chocolate (sugar, palm kernel oil, cocoa powder, soy lecithin, milk powder), cherries, cranberries, cashews, peanuts, raisins, honey, non GMO glucose, crisp rice, chicory fiber, soy lecithin. Vitamins: Vitamin A Acetate, Ascorbic Acid (Vit. C), D-Alpha Tocopheryl Acetate (Vit. E). Vitamins and Minerals:Vitamin A (50% DV), Vitamin C (50% DV), Calcium (4% DV), Iron (6% DV), Vitamin E (50% DV), Vitamin B1 (2% DV), Vitamin B3 (4% DV), Phosphorus (8% DV), Magnesium (10% DV), Zinc (4% DV). One bar contains 180 calories. It has 14 grams of sugars, 4 grams of protein, 9 grams of fat, and 3 grams of fiber. It has a variety of vitamins and minerals and not a single ingredient that can’t be pronounced. Chewy and crunchy. Sweet but not too sweet. Healthy but a treat. As you look at the bar, you see the ingredients themselves. The bar has a chocolate coating along the bottom and a drizzle of chocolate along the top. The bars are absolutely beautiful. It’s so pretty to see the ingredients in their natural state! This bar was so good! I couldn’t stop eating it, but I didn’t want to finish it either. It kept me full between classes and it satisfied my craving for something sweet. This bar was really even better than I expected and I had high expectations. There’s not much more I can say. I think that this is a high quality brand. The ingredients are all natural; the brand encourages individual charity work and does community events across the nation. KIND is also non-GMO. This brand is one of a few mass-produced, high-quality brands. I do not have a single complaint about anything. The bars cost about $1.50 each, depending on your location. I found boxes of four at Walmart for a little over $4, so that is a much better deal. I loved this bar! I’m excited to try all the different flavors. They may be a little expensive, but the quality of the product is totally worth the money spent. Buying them in boxes will reduce the price a little. Honestly, I think they are completely worth the money.